The concept of imaginary numbers has always been a fascinating one. The Greek mathematician Heron of Alexandria, born around 10 AD, is noted as being the first person to have come up with the idea of imaginary numbers. It wasn’t until the 1500’s, though, that rules for arithmetic and notation for complex numbers really came to fruition. Of course, at the time most people thought imaginary numbers were just stupid and pointless. Heck, today I’m pretty sure most people still think imaginary and complex numbers are stupid and pointless. Surely they can be used for more than just generating pretty looking fractals (like the Mandelbrot set), right? Yes, because of imaginary numbers there is a solution to any type of polynomial equation… but there has to be more use to them than that, right? The topic I wish to present in this article is about some of the other applications of imaginary numbers. Imaginary numbers are really useful and they can be used to do all sorts of awesome things! While presenting this information, I do not claim to list every single practical use of imaginary numbers. There are many useful applications that involve some crazy complicated mathematics and are admittedly beyond the scope of my understanding at the present time. Rather, I wish to share a few of my favorite applications of imaginary numbers. It is my hope that the reader will learn more about why mathematicians have studied so much about imaginary and complex numbers. A visualization of a Steiner inellipse with its foci. 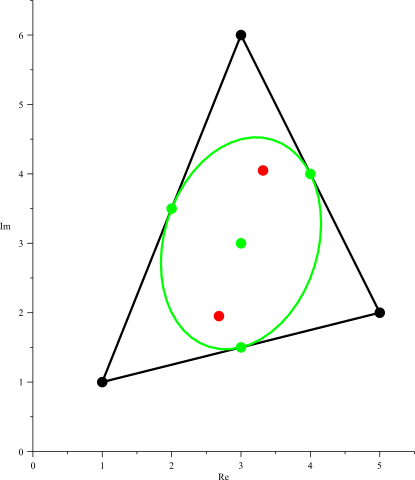 The ellipse is based on the polynomial p(z)=z3-(9+9i)z2+(3+52i)z+(33-39i). The black dots are the zeros of p(z), and the red dots are the zeroes of p'(z) and the foci of the inellipse. Uploaded by User Kmhkmh for Wikipedia on 2/6/2010. Creative Commons license. Reuse permitted. Basically, this theorem can help one find the foci of a Steiner inelipse. A Steiner inellipse is simply an ellipse that is inside of a triangle and is tangent to the midpoints of the three sides of the triangle. Such an ellipse is shown in the following diagram. The foci of a Steiner inellipse can be found by using complex numbers! The triangle’s vertices can be written as points in the complex plane as follows: a = xA + yAi, b = xB + yBi, and c = xC + yCi. Marden’s theorem states that if you take the derivative of the cubic equation (x-a)(x-b)(x-c) = 0 and set it to zero, then the solutions of this equation will be the two foci of the Steiner inellipse in complex numbers. Isn’t that a really bizarre theorem? If you think about it, though, it makes some intuitive sense. When you take the derivative of an equation and set it equal to zero, the solutions of that equation give you the maximum and minimum values found on the arcs in the equation. A regular cubic equation could have up to two arcs, so it’s natural that there would be two max/min values. The fact that these two values are the two foci of the inellipse is really interesting. As it turns out, using complex numbers here gives us a very amazing and useful geometric tool to use. There are also a few generalizations of this theorem that apply to different types of polynomials and other geometric shapes! So it seems that first we have geometric applications for complex numbers. Now I would like to present a second category of applications. These are related to phasor calculus. A phasor is a complex number that represents a sinusoidal function. Thanks to the amazing Euler’s formula (eiπ = cosx + sinx), sinusoidal functions can be rewritten as complex numbers. This allows for easier problem solving and analysis for many types of problems. For instance, in electrical engineering alternating currents can be a pain to analyze sometimes. After all, they have voltages that exhibit sinusoidal behavior. With the use of phasors, one can analyze aspects of AC circuits more easily. Analysis of resistors, capacitors, and inductors can be combined into a single complex number, which is called the impedance. Phasors are comparatively easy to interpret, so it’s a lot easier to study AC circuits when studying them in the complex plane! In addition to AC circuits, complex numbers are similarly useful when studying electromagnetic fields, where the quantities of electric and magnetic field strength are combined into a single complex number. The last application I wish to bring up involves the usage of imaginary numbers to solve integration problems. As it turns out, we can use the aforementioned Euler’s formula to simplify real integration problems and help us find real answers. This is done by using a base integral that has a complex solution. An example of a base integral would be∫ e(1+i)xdx. Using simple u substitution, we can find the answer to this integral, which is ((1-i)/2)e(1+i)x + c1 + ic2. With this known imaginary answer, we can compute the answer to a real integral. Consider, for example,∫ excosxdx. First, we rewrite the previously mentioned base integral as: ∫ exeixdx. Then we can use Euler’s formula to alter this integral further:∫ exeixdx = ∫ ex(cosx + isinx)dx. This will further simplify to∫ excosxdx + i∫ exsinxdx. We can set the known solution of the base integral equal to this complex integral and solve for ∫ excosxdx , which is the real integral we are trying to compute. We will see that the imaginary parts must be equal and the real parts must also be equal. Solving in this manner will show us that ∫ excosxdx = .5ex(cosx + sinx) + c. Hopefully I don’t have to explain how useful integrals are! The fact that complex numbers can help us solve integrals alone means they are really useful. 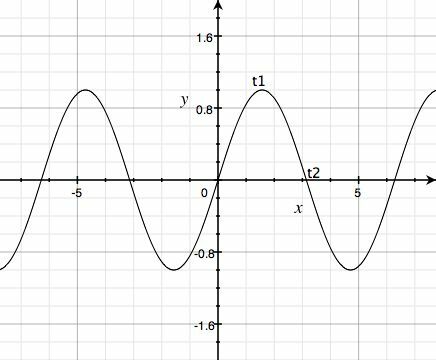 I think in general it seems that whenever there’s an oscillatory phenomenon of any kind then complex numbers are naturally helpful in describing said phenomenon. Complex numbers have multiple substantial applications in a multitude of scientific problems. In addition to the few I’ve mentioned, complex numbers are also used in: quantum mechanics, control theory, signal processing, vibration studies, cartography, and fluid dynamics. Dang. Since a long time ago complex numbers have been thought of as trivial and inconsequential. Descartes himself (who coined the term “imaginary”) called these types of numbers imaginary because he meant for this to be derogatory. However, as we have learned more about math throughout the ages we have found many a useful application for imaginary numbers. 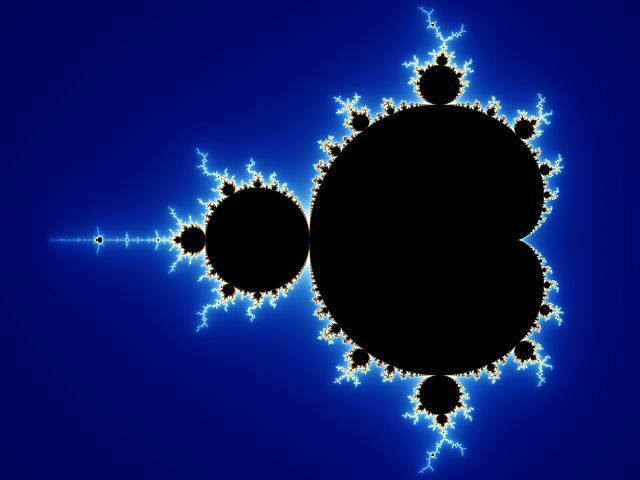 The aforementioned Mandelbrot set. This is a fractal involving a set of complex numbers. Uploaded by User Localhost00 on 10/13/2013. Creative Commons license. Reuse permitted. This entry was posted in Numbers, Practical Math and tagged complex analysis, complex numbers, imaginary numbers on March 6, 2015 by weiqimaster. Imaginary numbers, which are also known as complex numbers, have had a pretty bad reputation. When most people think of imaginary numbers, they probably break out in a cold sweat from the horrific memories of high school math class. They think that imaginary numbers are utterly incomprehensible and useless in the “real” world. 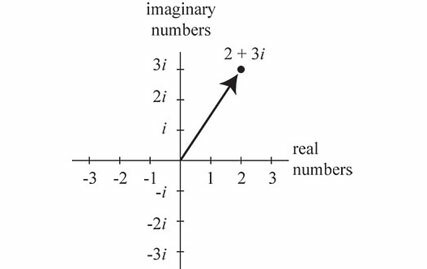 “Imaginary numbers” sound very intimidating to people who are not familiar with them. They also sound highly theoretical with little or no use outside of pure mathematics. In fact, the exact opposite is true. The most common imaginary number is i, which is formally defined as i = √-1. Since the act of squaring any real number always makes the number positive– whether it began as a negative number or not, it is impossible to find the square root of a negative number without using i. Thus, i made possible an entire class of math problems that were not possible before. For example, √-64 = 8i, cannot be done without using i, because √-64 does not exist in the real number line. Additionally, i can be easily changed from an “imaginary” number into a “real” number simply by squaring it: i² = -1. The first known person to stumble upon the idea of using an imaginary number to take the square root of a negative number was the Greek mathematician Heron of Alexandria in 50 CE. He was trying to find the volume of a section of a pyramid using a formula that involved the slant height of the pyramid. However, certain values for the slant height would produce the square root of a negative number. Heron was very uncomfortable with this result, so in order to avoid using a negative number, he fudged his calculation by dropping the negative sign. Perhaps the first champion of imaginary numbers was Italian mathematician, Rafael Bombelli (1526-1572). Bombelli understood that i times i should equal -1, and that -i times i should equal one. However, Bombelli could not find a practical use for this property, so he generally was not believed. Bombelli did have what people called a “wild idea” – that imaginary numbers could be used to get real answers. Imaginary numbers continued to live in disgrace until the work of a series of mathematicians in the 18th and 19th centuries. Leonhard Euler helped clear up some of the problems with using imaginary numbers by developing the notation i to mean √-1. He also introduced the notation a+bi for complex numbers. Carl Friedrich Gauss made imaginary numbers much more concrete and less “imaginary” when he graphed imaginary numbers as points on the complex plane in 1799. However, William Rowan Hamilton in 1833, delivered the coup de grace to imaginary numbers’ bad name when he advanced the idea that complex numbers could be expressed as a pair of real numbers. For example 4+3i could be written simply as (4,3). This made complex numbers much easier to understand and use. Today, imaginary numbers are an essential part of the everyday calculations that make modern technology work. They are indispensable in the field of electrical engineering, particularly in the analysis of alternating current, like the electrical current that powers household appliances. Also, cell phones and air travel would not be possible without imaginary numbers because they are necessary in the computations involved in signal processing and radar. Imaginary numbers are even used by biologists when studying the firing events of neurons in the brain. Imaginary numbers have come a long way in the five hundred years since they were scoffed at for being absurd and totally useless. This entry was posted in Big Problems and tagged applications of imaginary numbers, Carl Friedrich Gauss, Girolamo Cardano, Hamilton, Heron of Alexandria, imaginary numbers, Leonhard Euler, Rafael Bombelli, William Rowan Hamilton on November 3, 2014 by arithmomancy.